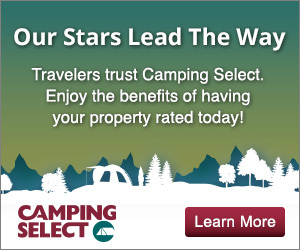 Welcome to Camping Select, a traveler’s hub for professionally rated accommodations. From hostels and farmhouses to boutique hotels and resorts, we’re a 5-star rating system that sets a standard of quality travelers can trust. Finding a great place to stay shouldn’t be stressful and with Camping Select, Camping’s ONLY national accommodations rating program, it isn’t. To learn how we rate click here.